We decided to work with Service Lift Co as they provided the quickest response and met our budget requirements. We would certainly use Service Lift Co again for any future work involving dumb waiter lifts and was impressed by how quickly everything happened from order placement through to installation. 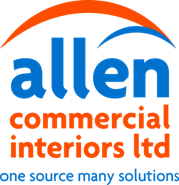 Allen Commerical interiors would offer a reference to anyone looking to use Service Lift Co and have been very happy with the overall service provided.